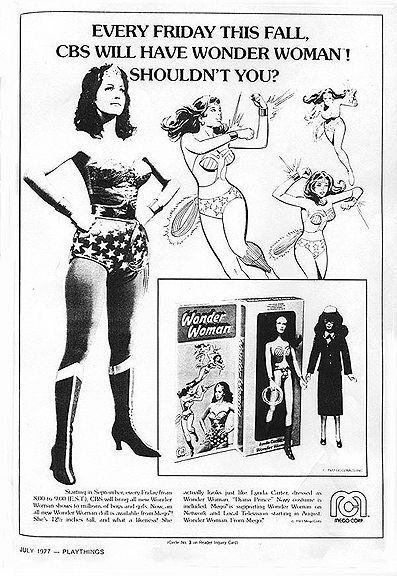 In 1977, Mego, a toy company that was then famous for producing licensed action figs, released its first round of Wonder Woman dolls based on the iconic TV series (1975-1979) starring Lynda Carter. They included Wonder Woman – with her superheroic costume painted on (literally) and a separate, changeable Diana Prince Navy uniform – as well as her twin sister/”super-foe” Nubia and Major Steve Trevor. 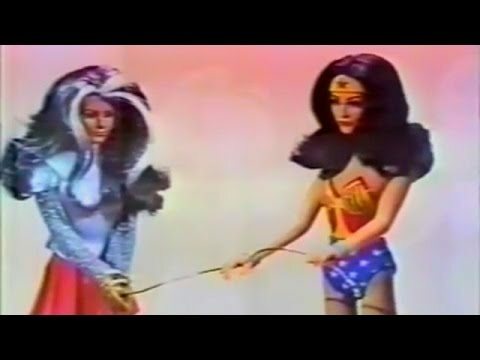 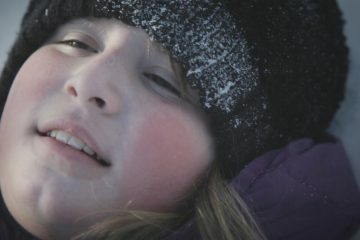 This is the commercial that marked their debut, inviting kids to create their own “Wonder Woman Adventures”. 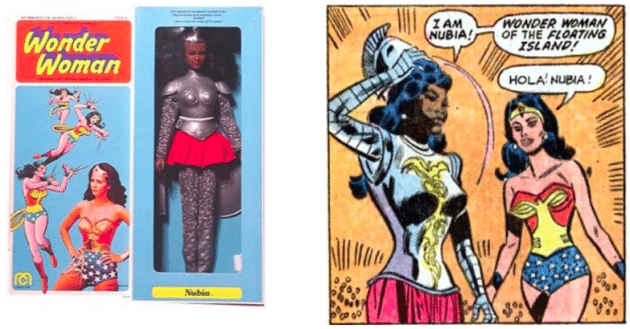 What’s interesting is that Nubia’s Mego doll box “claimed she was ‘direct from her reign of TV terror’ and she was marketed as Wonder Woman’s ‘super-foe'”, yet the character was never actually featured on the 70s TV show.